Our research interests lie at the interface of chemical physics and molecular biology. Our goal is to provide molecular level characterization of complex biomolecular systems and formulate quantitatively accurate microscopic models for predicting the interactions of various therapeutic agents with innate biochemical signaling mechanisms. We employ several computational algorithms ranging from techniques to treat electronic structure, molecular dynamics, Monte Carlo simulations, stochastic kinetic equations, and complex systems analyses in conjunction with the theoretical formalisms of statistical and quantum mechanics, and high performance computing in massively parallel architectures. Biological membranes are ubiquitous in every aspect of cell biology and plays the key roles of barrier, carrier and host. Using computational techniques encompassing nano to micron length scales, we investigate the chemical and physical properties of membranes in order to elucidate their role in a biological process of Intracellular Trafficking. 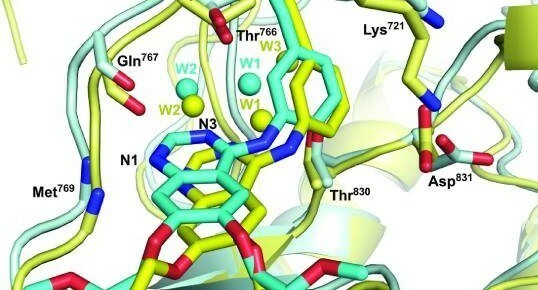 Mutations in receptor tyrosine kinases have been implicated in a number of cancers. We utilize an array of quantum mechanics, molecular dynamics, free energy, and bioinformatics methods to explore mechanisms in cancer-driving mutations and help discriminate them from passenger mutations. Specifically, we are examining the molecular mechanisms of mutation-driven constitutive kinase activation and drug resistance and developing efficient computational methods for predicting the oncogenic potential of novel mutations. The heterogeneous mutational landscape of cancer results from the varying response of the different signaling pathways in the cell. We adopt a multiscale approach to quantify the complex set of genomic data, that has been derived from cancer patients. Statistical measures extracted using this approach along with complimentary mechanistic models gives us insight into the nature of the cancer that can be employed in diagnosis and therapy in the context of personalized medicine. 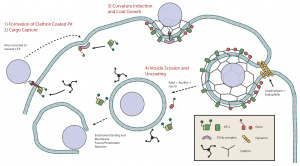 Targeted drug delivery systems utilize the unique chemical signatures expressed by malignant cells to deliver a nano-sized therapeutic cargo to infected sites. Our modeling framework focuses on the journey of this nanocarrier starting with its flow in the vasculature, to its capture by surface receptors and its intake into the cell through various internalization mechanisms. 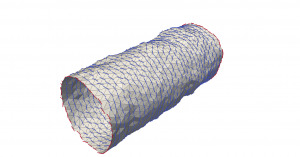 We hope to build next-generation pharmacodynamic models which guide the design and optimization of drug delivery vehicles in the clinical context.